A basic temperature controller provides control of industrial or laboratory heating and cooling processes. In a typical application, sensors measure the actual temperature. This sensed temperature is constantly compared to a user set point. When the actual temperature deviates from the set point, the controller generates an output signal to activate other temperature regulating devices such as heating elements or refrigeration components to bring the temperature back to the set point. 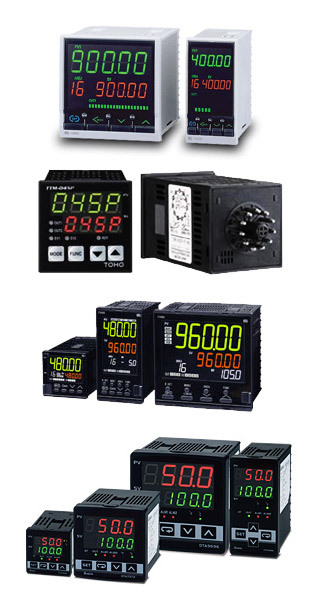 Temperature controllers are used in a wide variety of industries to manage manufacturing processes or operations. Some common uses for temperature controllers in industry include plastic extrusion and injection molding machines, thermo-forming machines, packaging machines, food processing, food storage, and blood banks. We supply, install and provide service and support, 24-hours a day 7 days a week, for each and every client.